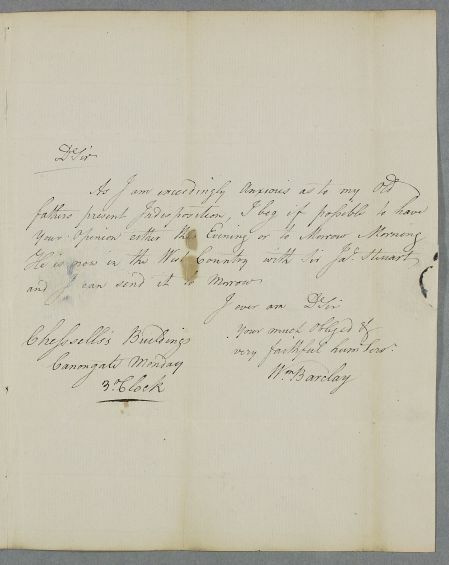 Letter from William Barclay, concerning the case of his father, Henry Barclay of Coltness. Undated but probably from February 1780. Sealed, but probably hand-delivered within Edinburgh. 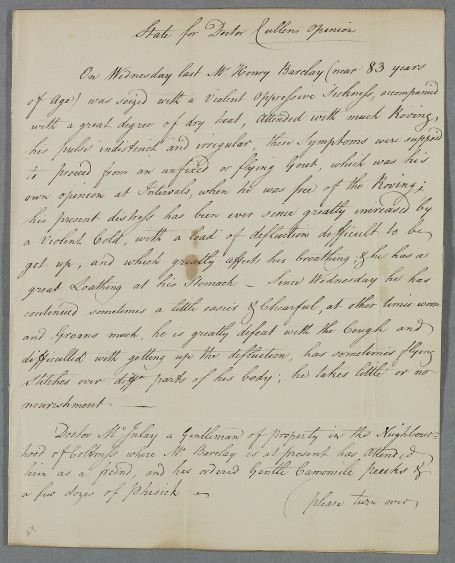 Summary Letter from William Barclay, concerning the case of his father, Henry Barclay of Coltness. 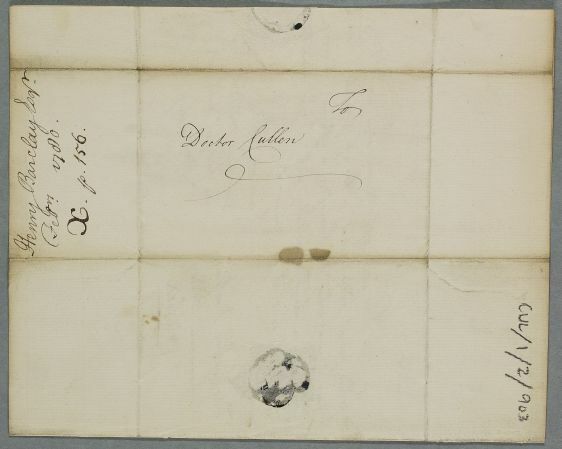 Undated but probably from February 1780. Sealed, but probably hand-delivered within Edinburgh. Case of Henry Barclay of Coltness, and elderly man suffering a severe attack of gout.